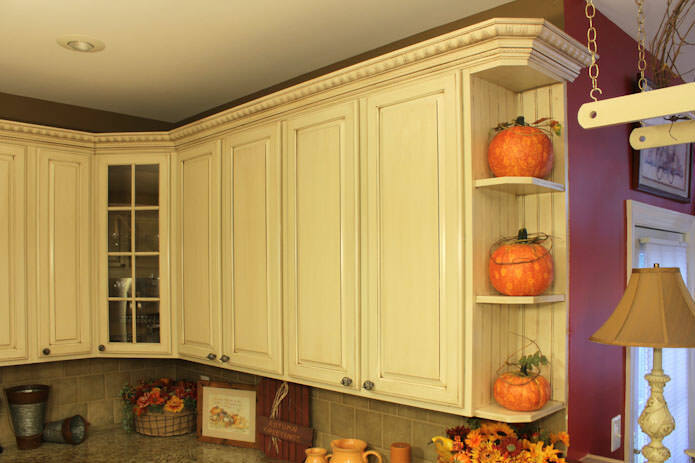 This large, dark stained maple kitchen got a huge face lift by adding bead boards to the end panels and applying an off white, glazed finish. 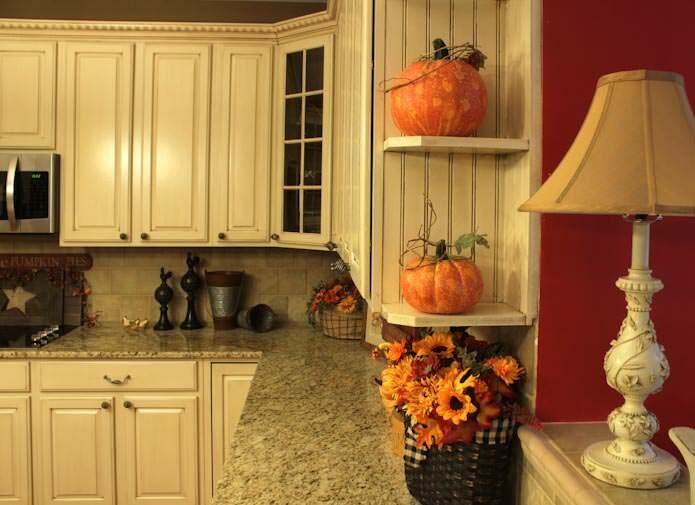 A new, much more substantial crown molding was also added that picked up the glaze much more than the old crown molding could have. 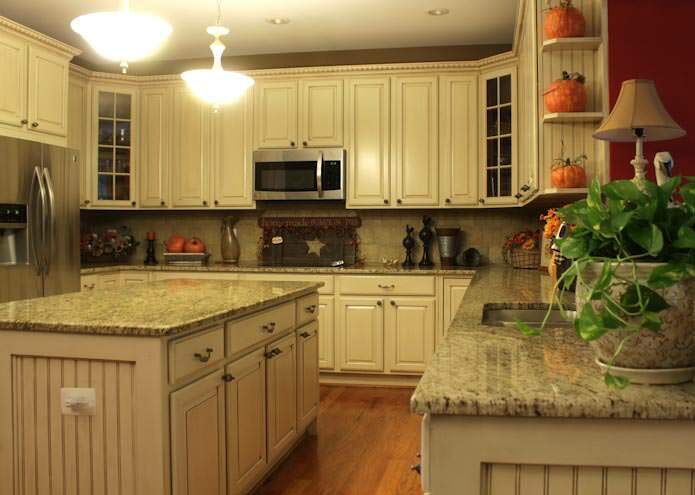 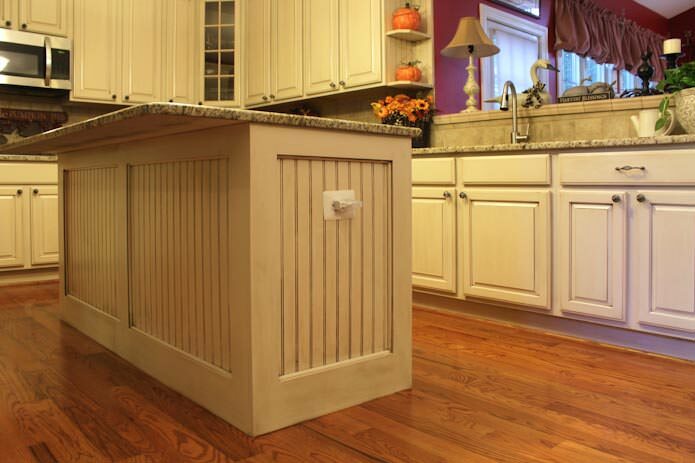 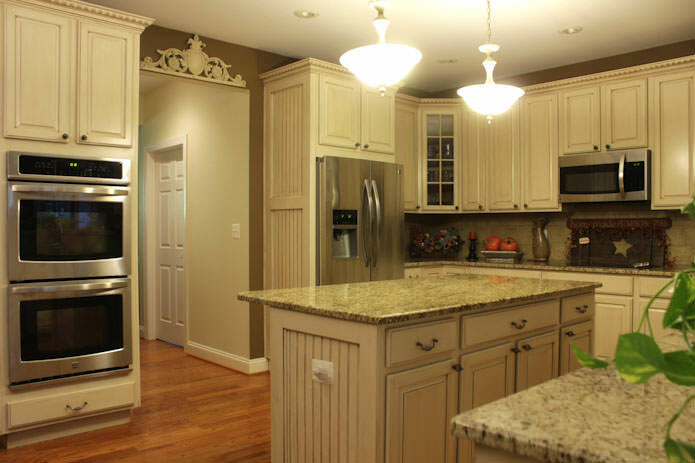 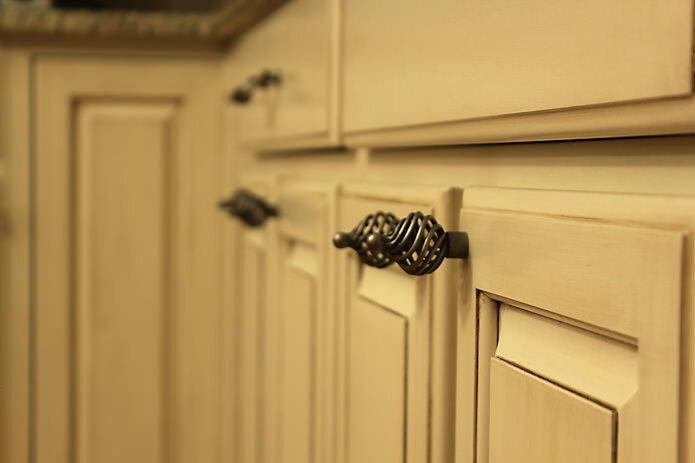 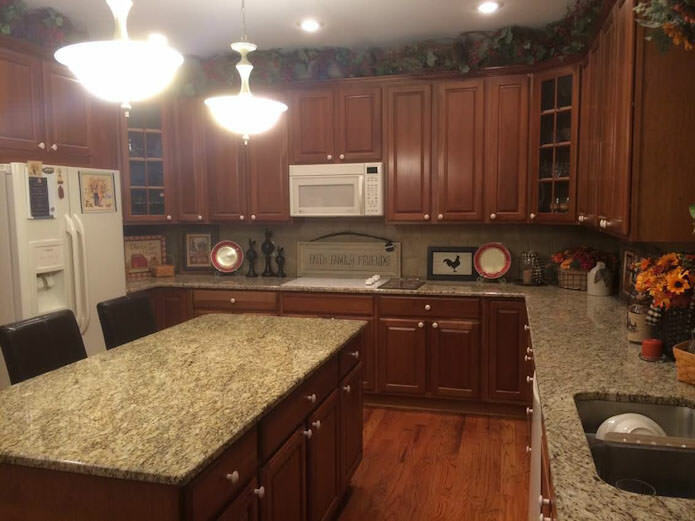 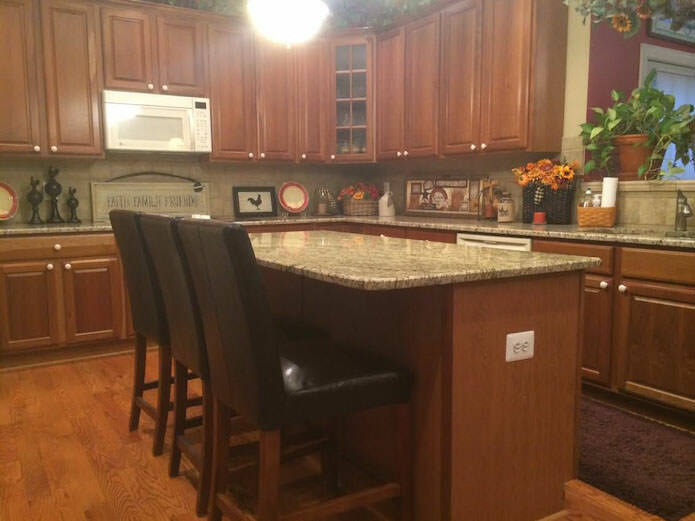 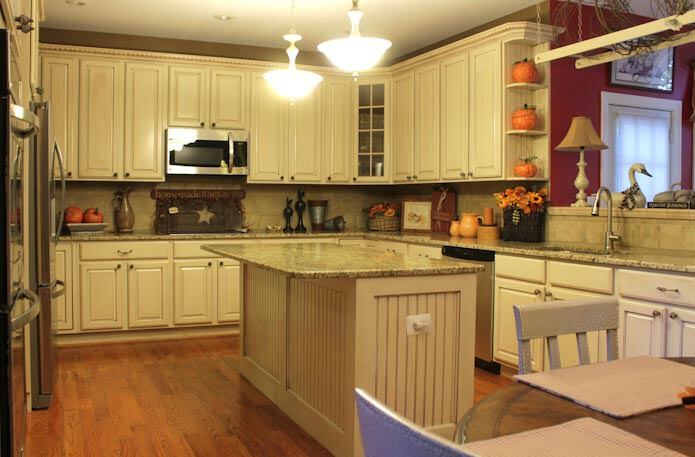 The island was totally refaced with bead board and wide trim all around and an open shelves end unit was added to the side of the wall cabinets with the crown molding wrapped around it. 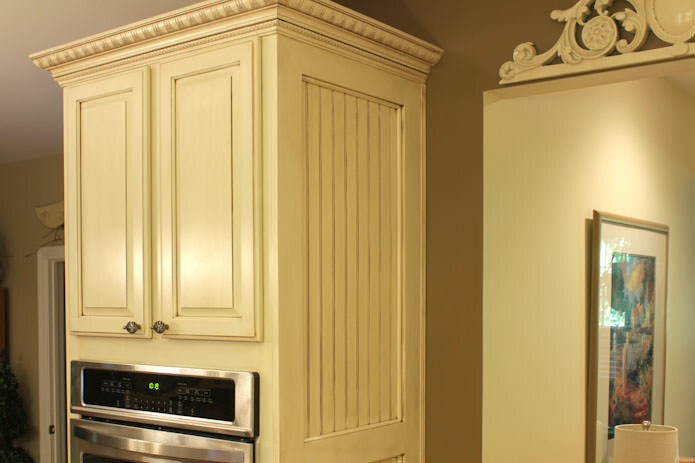 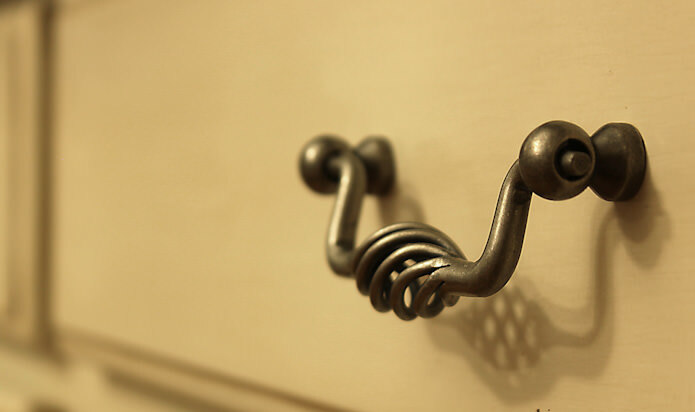 The glazed finish matches the finish of an antique lamp the customers had.